Work related stress is a growing problem around the world that affects not only the health and well being of the employees, but also the productivity of organisations. Stress is defined as the ‘adverse reaction people have to express pressures or other types of demands placed on them’. According to a study published in 2019, more than half of the UK population claim to be suffering from work related stress and insomnia and it is the second most common compensated illness after musculoskeletal disorders. The average worker, arriving late twice a month due to stress, costs the economy 221 million lost hours and £440 billion each year. Such workers sleep an estimated five hours 42 minutes a night during the week, instead of the recommended seven to nine hours. This lack of sleep can have a serious impact on their efficacy in carrying out daily tasks within the workplace. Everyone needs a little bit of stress in order for things to get done, however, too much stress can have the adverse affects. 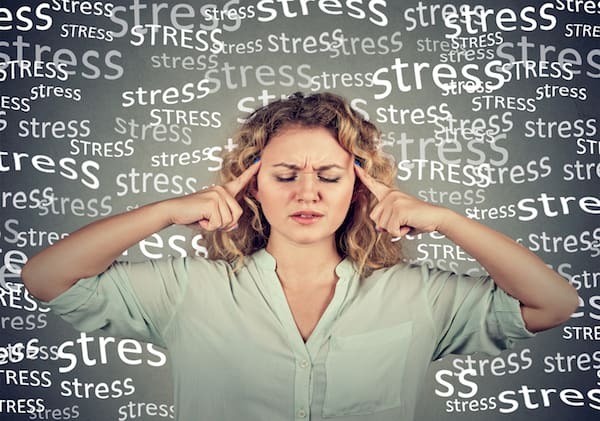 Being stressed and anxious is a natural part of life as it is responsible for the fight or flight response, however, when it is prevalent within the workplace it can seriously affect our health. Stress is not an illness, but the psychological impact can lead to conditions such as anxiety and depression, and this can in turn increase the risk of getting conditions such as heart disease, back pain, skin conditions and even gastrointestinal illnesses. Although the social stigma around issues such as stress, anxiety and depression is changing, employees still fear judgement if they open up about their mental health in the workplace. According to Unison, 2018 saw work related stress as one of the biggest health hazards in the workplace. The demands of the job – staff can become over loaded and may feel like they cannot cope. Amount of control they have – if staff have no say over how and when they do their work they can often perform poorly if they feel malcontented. Support – lack of support from managers and colleagues can increase levels of absenteeism due to sickness, as they feel unable to talk if issues should arise. Relationships at work – a failure to build relationships based on trust can lead to problems related to discipline, grievances and bullying. Responsibilities – how a role fits within the organisation as employees can feel anxious about their role if they do not know what is expected of them. Three things I have personally observed from one of my places of work is the ego, which manifests into a superiority complex, favouritism and health & safety lapses. The ego – the ego can play a major role in work place stress. For example, a member of my team got promoted and unfortunately so did her ego. Favouritism – certain people (usually a senior member) will try to associate with other people who will be of some benefit to them, disregarding everyone else. This does not get unnoticed and may cause a rift in the workplace. Health and safety or the lack of. Having had a workplace accident myself and not receiving the support or the support to reduce further accidents is stressful. The fear of not being able to speak out to express any concerns or issues within the workplace due to the lack of support is all too common. Having a good support network is key. Talking about any issues or concerns is the best way to resolve matters providing you have the support and understanding. Stress can affect us all very differently and we all handle stress in different ways. Taking time off work reduces that temporally until you return back to work. Hypnotherapy and self hypnosis are ideal tools for achieving greater control, even in difficult situations. Using hypnosis is extremely effective, as it creates a state of deep relaxation in both body and mind and Manages stress and anxiety safely and effectively. Don’t let stress control you, control stress with hypnotherapy!